So I’ve been hyping this a little bit, but let’s get too it! One of the most important things is exercise! If you can run for a long distance with good speed you will be able to get out of dodge when you will need to. This is really important, dosen’t matter if you are in the city or out of the city, you will still need to be able to move quickly when time calls for it. You might need to go into close combat, so being able to defend yourself is just as important. It’s good if you have guns and ammunition, but if you run out of ammunition, your gun will only be good for either hitting someone with it or throwing it. Having knives, swords, bow and arrows, is a good back up if you get into this situation. I’ve been using the second one for about 2 weeks now myself and it is working! the first one I used for 3 weeks and it gave me alot of information on how to start out and what I should be doing. I’m not trying to promote something that will not help you, but I’m telling you about things that I have done and that have helped me and can definately help you. The article is written by Dr. Paul Craig Roberts. If you have any money and you want to understand the lies that “your” government tells you with statistics, subscribe to John Williams shadowstats.com. John Williams is the best and utterly truthful statistician that we the people have. The charts below come from John Williams Hyperinflation Report, January 25, 2012. The commentary is supplied by me. Here is the chart of real average weekly earnings deflated by the US government’s own measure of inflation, which as I pointed out in my recent column, Economics Lesson 1, understates true inflation. This chart (below) shows the behavior of inflation as measured by “our” government’s official measure, CPI-U (bottom line) and John Williams measure which uses the official methodology of when I was Assistant Secretary of the US Treasury. The gap between the top and bottom lines represents the amount of money that was due to Social Security recipients and others whose income was indexed to inflation that was diverted by the government to wars, police state, and bankers’ bailouts. This next chart shows the gains that gold and the Swiss franc have made against the US dollar. The Swiss franc is the top line and gold is the bottom. When gold and the Swiss franc rise, the dollar is falling. Notice that during President Reagan’s first term, when I was in the Treasury, gold and the Swiss franc dropped, that is, the dollar rose in purchasing power. Obviously, the supply-side policy that Reagan implemented strengthened the US dollar. It was only with the advent of the Bush policy of endless trillion dollar wars, reaffirmed by Obama, that the US dollar and economy collapsed relative to gold and hard currencies. The recent drop in the Swiss franc is due to the Swiss government announcing that the country’s exports could not tolerate any further run up in the franc’s value, and that the Swiss central bank would print new francs to accommodate future inflows of dollars and euros. In other words, Switzerland was forced to import US inflation in order to protect its exports. Here is nonfarm payroll employment. As you can see, the US economy has been in recession for four years despite the easiest monetary policy and largest government deficits in US history. Here is consumer confidence. Do you see a recovery despite all the recovery hype from politicians and the financial media? Here is housing starts. Do you see a recovery? Here is real GDP deflated according to the methodology used when I was in the US Treasury. Here is real retail sales deflated by the traditional, as contrasted with the current, substitution-based, measure of inflation. These graphs courtesy of John Williams make it completely clear that there is no economic recovery. In place of recovery, we have hype from politicians, Wall Street, and the presstitute media. The “recovery” is no more real than Iraqi “weapons of mass destruction” or Iranian “nukes” or the Obama regime’s phony story of assassinating last year an undefended Osama bin Laden, allegedly the mastermind of Islamic terrorism, left by al Qaeda to the mercy of a US Seal team, a man who was widely reported to have died from renal failure in December 2001, a man who denied any responsibility for 9/11. A government and media that will deceive you about simple things such as inflation, unemployment, and GDP growth, will lie to you about everything. That may be precisely the point, it turns out. 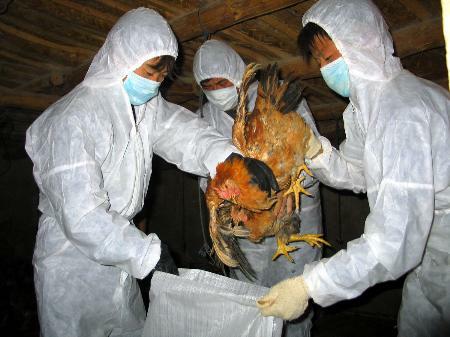 There is no better way to promote the vaccine profits of the pharmaceutical industry than to actually release an engineered bioweapon virus into the wild. And there is no faster way to reduce the world population than to engineer either a vaccine or a weaponized flu virus that burns through the human population, targeting those of an “undesirable” genetic profile who need to be “cleansed” from the human gene pool. This about this the next time you think about purchasing Microsoft Office, Windows or some other Microsoft product. By doing so, you are funding what could very well be a global eugenics agenda with the ultimate goal of wiping out a significant proportion of the human race. What can clearly be seen from the last post, is that Bill Gates is pursuing an agenda of depopulation of humanity. This is a similar agenda of those who pursue eugenics efforts around the globe, including Adolf Hitler and a long list of former FDA Commissioners in the United States. One of the most common ambitions of those in the highest positions of power, it seems, is to cull the human population and eliminate “the little people,” leaving only a “master race” of supreme beings. Even major universities around the globe are now teaching students that human beings are evil for merely being alive and exhaling carbon dioxide, and that killing off humans is “green” for the planet. In order to kill off a big amount of people, the most efficient mechanism to use is a self-replicating, gene-targeted bioweapon. Microsoft’s Amalga Life Sciences technology, purchased from vaccine developer March, theoretically provides a viable platform to develop precisely such bioweapons. It is interesting that no announcements from the company appear to have been made since being acquired by Microsoft in 2009, indicating that their work is now being conducted in total secrecy, behind closed doors. When you buy Microsoft products, you are now promoting the pharmaceutical industry and its global vaccine agenda. That’s the new reality in which we live, where the world’s largest software company is “in bed” with the world’s largest vaccine pusher. How so? In 2009, Microsoft purchased a key piece of technology from the drug company Merck, the world’s largest maker of vaccines (which Bill Gates says can help “reduce the global population” by 10 to 15 percent). That technology, as you’ll see below, can conceivably be used to develop eugenics vaccines that target specific races and nationalities with infertility-inducing pharmaceuticals — something that is entirely consistent with Bill Gates’ openly-admitted goal of reducing world population through the use of vaccines (see link to video below). This same announcement goes on to say that vaccine maker Merck will “provide strategic input to Microsoft” as a part of the deal. Merck’s strategy, of course, is to make money by pimping vaccines and pharmaceuticals, including the now-infamous Gardasil vaccine. All this comes on the heels of other recent news that Bill Gates is fundingsperm-destroying technologyto cause widespread male infertility (http://www.naturalnews.com/034834_Bill_Gates_sperm_infertility.html). His foundation has also funded genetically modified mosquitoes and other mad science experiments (http://www.naturalnews.com/030940_Bill_Gates_Foundation_genetics.html). Press the photo to zoom in on the text. 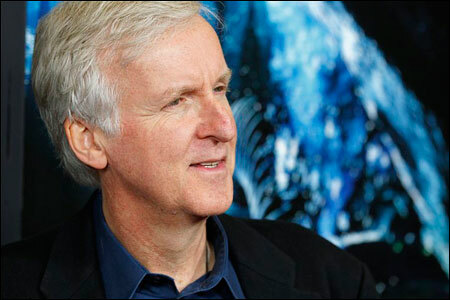 If you think that Hollywood director James Cameron’s decision to leave America and move his entire family to a farm in New Zealand is simply to provide his kids with a “strong work ethic,” as Cameron claims, then think again. James Cameron and his family is leaving their $5 million dollar villa in Malibu to move to the farm in New Zealand which is a 90 minute drive from Wellington. Granted, the fact that rumors suggest the sequel to Avatar will be filmed in New Zealand, in addition to the close proximity to Weta Digital’s Wellington headquarters, the studio won an Oscar for its work on the first Avatar, are undoubtedly factors behind the purchase, but Cameron’s decision to abandon America entirely, when he could more easily have bought a holiday home in New Zealand, surely suggests other reasons for the move. Cameron’s decision fits the trend that the wealthy elite has started of taking their money out of USA and reinvesting it in buying land in the southern hemisphere, escaping spiraling tax rates and protecting themselves against the potential for widespread social dislocation. In 2010, the billionaire chairman of Liberty Media John Malone, announced that he had bought a retreat on the Quebec border as an insurance policy to “have a place to go if things blow up here,” adding that he was concerned about the survival of the dollar and whether or not “America (was) going to make it” through the economic crisis. The political class are also buying up land in foreign countries. The Bush family bought up 100 000 acres in Paraguay back in 2006. Growing concern that economic stagnation could lead to widespread civil unrest, allied to crippling tax hikes, is causing many members of the super-rich to abandon the United States in pursuit of more stable countries with friendlier financial conditions for those with wealth. According to the Census Bureau, “The top-earning 1% of US taxpayers are leaving the USA at the highest rate in history.” In addition, a Zogby International poll found that more than 3 million US citizens relocate abroad every year, as record numbers of rich US citizens renounce their citizenship to escape punishing levels of taxation. “Short of the mainstream media coming out and broadcasting to the American people that the system is about to destabilize and to expect nothing short of total meltdown and pandemonium, reading between the lines and watching the actions of those who are interconnected with the money and power structures on which the system is built will be our only warning signal for the difficult times we face in the near future,” writes Mac Slavo. Emergency relocation specialists have said that the wealthy are digging in with the purchase of fortified compounds which include underground bunkers, or alternatively leaving the United States altogether. While a catastrophic collapse may not occur, those with significant wealth are exercising their financial muscle to buy insurance policies in the form of land and secure compounds either in remote areas of the United States or in more stable foreign countries.